Apogee’s products and services represent exact solutions to its partners’ and customers’ challenges. In that way, Apogee’s costom web, PM, HR, e-marketing and e-learning services do not only fulfil the actual needs but also create value-added leverage. 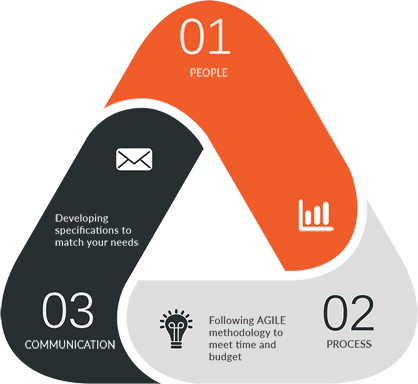 The primary and most significant challenge of project managements is to achieve all project goals and objectives based on the project management triangle (scope, time and cost). The secondary and most ambitious challenge is to optimize the allocation and to improve the integration of resources in order to match to pre-defined objectives.